About Us – CCAB Insurance & Benefits, Inc.
CCAB Insurance & Benefits, Inc.
CCAB Insurance & Benefits provides insurance, risk management and other services to help protect our clients. Justin was born and raised in Lancaster County. He graduated from Lancaster Mennonite High School and Millersville University, where he received a degree in Business Administration. Justin has worked in the insurance industry since 1995, and often looks back fondly on time spent learning the insurance business from his father Dale R. Leaman. Justin works with his brother and partner, Joshua Leaman, in providing leadership and direction for CCAB Insurance & Benefits. Justin and his wife Dawn have one daughter and four sons. They live near Lampeter and attend Calvary Church. Justin enjoys sports and spending time with his family. He and Dawn love date nights together, and he also looks forward to time spent playing baseball, basketball and soccer with his kids. Justin values family. This plays a big part in the way he approaches each client, and it fuels his desire to meet their needs. 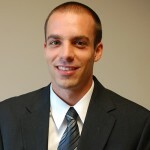 Josh apprenticed under his father, Dale Leaman, for 3 years at the beginning of his insurance career in 1998. 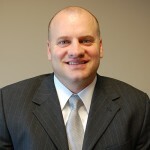 Since 2008 he has specialized in the sale and service of Group Benefits insurance programs. He spends his day consulting with clients regarding healthcare reform and providing specialized products for group health insurance. Josh enjoys spending time outside of work with his wife, Andrea, and their three children. His family is actively involved at Mellinger Mennonite Church and enjoys trips to the mountains. They particularly cherish the adventure found in going out to eat with two young children. Joe was born and raised in Lancaster County. 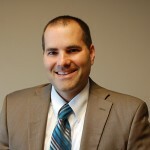 He is a 1998 graduate of Lancaster Mennonite High School, and received a degree in Business Administration from Millersville University in 2002. Joe has been a part of the Commercial Department since finishing college. He enjoys spending time building relationships with CCAB clients, in particular, meeting together to discuss how he can help meet the client’s needs. Joe and his wife Melissa were married at the end of September 2012, and have two children. Joe and Melissa attend the Worship Center. They enjoy traveling and the excitement that comes with dreaming about places they will visit in the future. has earned her CISR designation. Debbie develops a good rapport with clients by listening, asking questions and giving attention to the details of their business. Debbie lives in the Ephrata area and attends Lititz Grace Church. She likes to spend time with her family, and has two sons and five grandchildren. Debbie enjoys taking day trips. Her most recent adventure included a visit to Chesapeake City, MD. Dan grew up in Leola and graduated from Conestoga Valley High School. 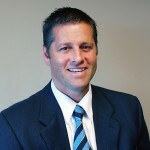 He joined the insurance industry in 2004 and has earned the CISR designation. He enjoys working with clients to find the best policy to suit their needs, taking the time to understand both their business and them as individuals. This gives a good foundation for servicing their account in the years to come. Dan and his wife, Marie, live in Lampeter, with their five children and attend Journey Church. Family life keeps him busy. Some of his favorite moments include photographing sunsets, taking walks with his wife and cheering on the kids in their extracurricular activities. Barb was born in the small town of Olean, New York. Her family moved to Lancaster County when she was a child. 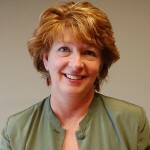 Barb graduated from Penn Manor High School, where she concentrated on business classes. 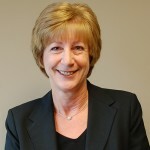 She has worked in the insurance industry for over 20 years. Barb earned her CISR designation and continues to take annual classes that enhance her abilities. 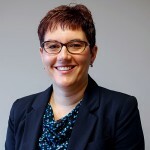 She services the personal insurance needs of both new and existing clients, enjoying the opportunity to tailor each policy to truly meet the individual's needs. She offers the best coverage for the premium, not just giving the best premium by reducing coverage. Barb married John, her high school sweetheart, and will be celebrating 33 years of marriage this year. They enjoy time spent with family, especially their two gandchildren. You will often find her outdoors—hiking, camping, and kayaking. Olga was born in Moldova, part of the former USSR. When she was 15, her parents moved their family to America to enjoy greater religious freedom. 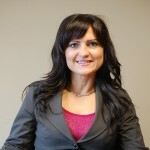 Olga graduated from Dauphin County High School, and has worked in the insurance profession since 1999. She is fluent in Russian and enjoys the unique opportunity this provides to meet the insurance needs of the Russian community in her area. Olga and her husband have 2 sons and live in Ephrata. They attend Bethany Slavic Church, where their family is active in the music ministry. Olga enjoys taking trips with her husband and spending time with her family and friends. After working as an administrative assistant in the kitchen cabinet industry, Vicki joined CCAB in February 2013 as a Life and Health Agent. She has enjoyed the new opportunities for personal and professional growth. Vicki works with clients to answer their questions and help them navigate through the current changes in health insurance. Vicki and her husband have been married for 26 years and have 3 children. One of her favorite past times is gardening. She and her husband recently took a trip to Savannah, GA and Charleston, SC, where she enjoyed strolling through the plantations and getting ideas for her own garden. Jon is a graduate of Conestoga Valley High School and has lived in Lancaster County his entire life. While attending Messiah College, he played baseball for four years and earned a degree in Accounting. 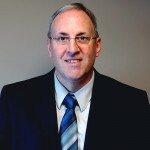 Jon joined CCAB Insurance & Benefits in January 2012, and is responsible for handling the agency’s financial transactions. Jon lives in the Smoketown area and is an active member of Mellinger Mennonite Church. He continues his love of sports by playing on the church softball team. He has been a loyal fan of the Philadelphia Phillies and Eagles, through the good times and the bad. When Jon isn’t at CCAB, you can find him helping his parents at their business—Shenk's Greenhouse. ©2016 CCAB Insurance & Benefits, Inc.